These glossy cufflinks are face of modern but elegant jewellery. 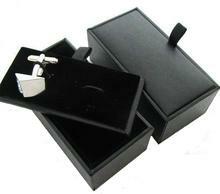 Cufflinks are square shaped with a silvered fastening that holds the stone. The stone is in very light turquoise colour and is transparent. 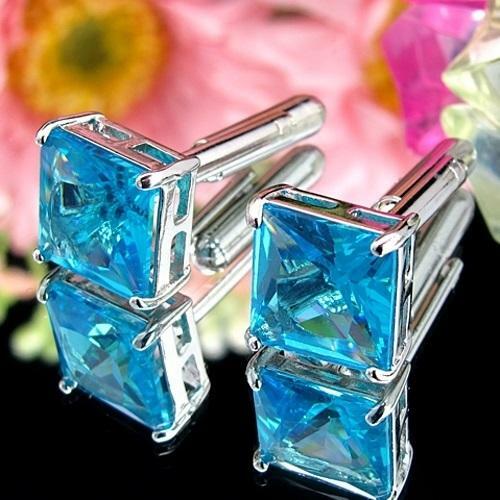 Design of the cufflink can remind you of blue sea or sky. Cufflinks are an ideal present in opportunity of birthday, Father's or Mother's day, graduation ceremony, Christmas. 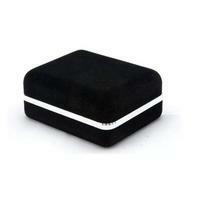 Also can be worn on wedding days or another feast-days.